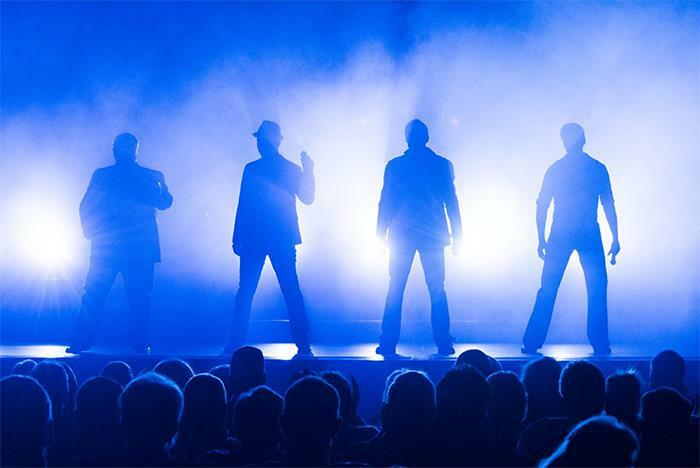 This brand new show from the talented and renowned Hughes family will leave Branson visitors astounded. 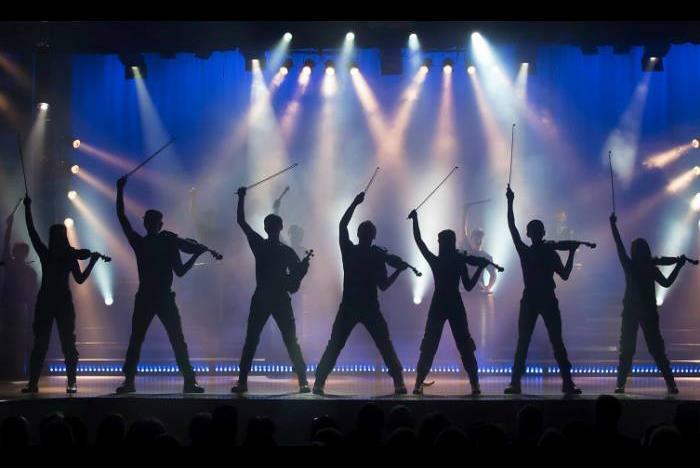 Featuring jaw-dropping instrument performances and vocal talents, side-splitting comedy, and a wealth of musical genres including a patriotic salute, audiences won’t know what’s coming next. 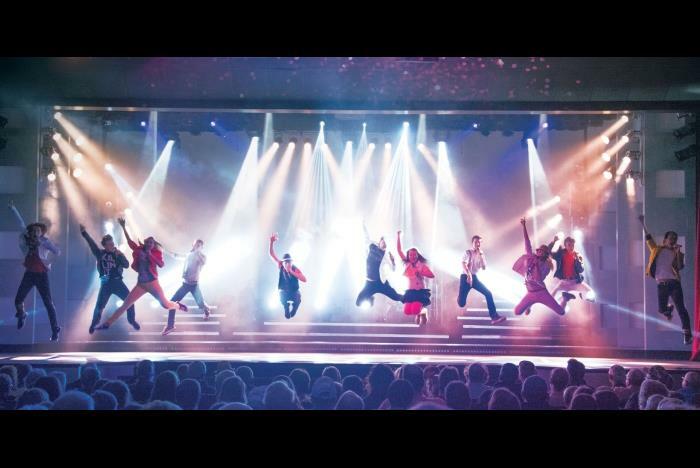 Plus, with state-of-the-art production and stage technology, Hughes Music Show is Branson’s newest hit! 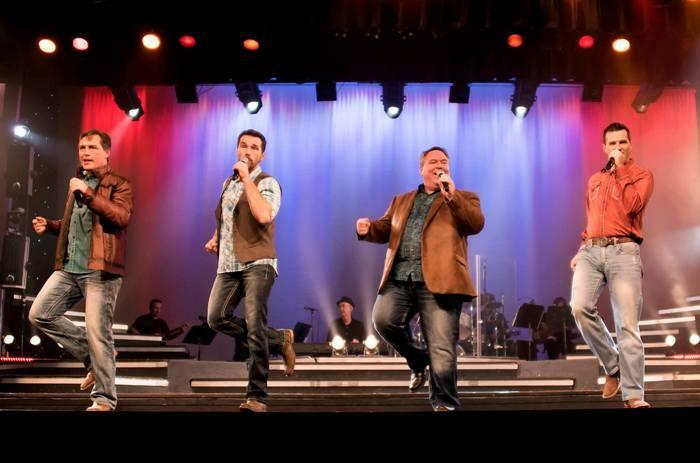 Performed at Hughes Brothers Theatre on Hwy 76 in Branson. Features a range of genres including gospel, pop, Broadway, and more. The cast includes the Hughes Brothers and their incredibly talented family members. 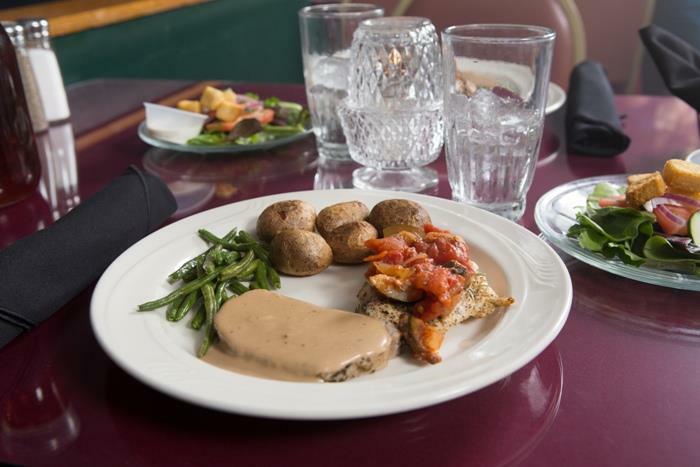 Grab a meal before the show at the Hughes Brothers Celebrity Dinner Theatre. Flash photography and videography are prohibited. Branson's #1 Show for great music features the Hughes Family, the largest live on-stage performing family in the world, all born to entertain. 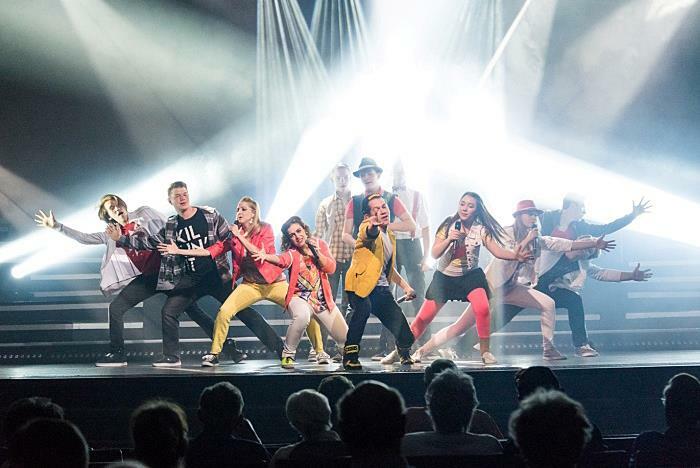 Over 50 amazing singers, dancers, and musicians present brilliant choreography, world-class production, sensational lighting, outstanding sound, lighthearted humor, and family fun. 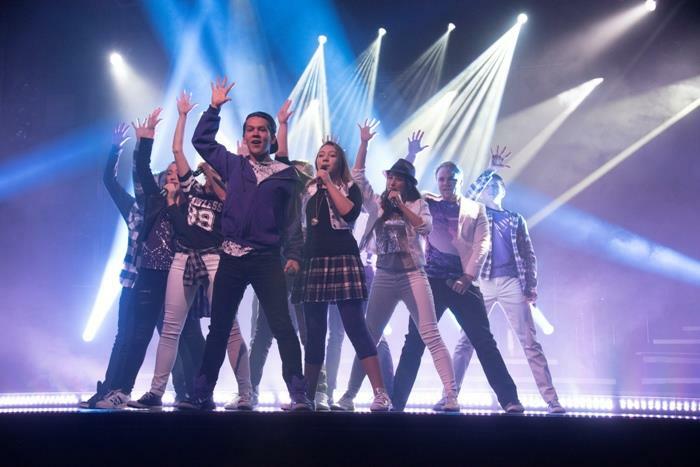 From country to Broadway, pop to comedy, patriotic to gospel to rock-n-roll, the Hughes Music Show is everything you want to experience in a Branson show and more. Add dinner with your show. We offer exceptional, fine table-top dining before the show in an intriguing theatrical atmosphere featuring our own Celebrity Chef, Johan Regnell who is classically trained in the European Culinary arts. The menu includes fresh garden greens, cucumbers, tomatoes and red onion salad topped with chef inspired dressings. An entree of slowly roasted pork-loin drizzled with savory balsamic reduction along with herb roasted chicken breast topped with homemade vegetable ratatouille and served with roasted baby potatoes, lightly seasoned fresh green beans, and signature hot rolls. Dessert is a luxurious dark chocolate mousse topped with heavenly light whipped cream and fresh raspberries. No. You can arrive 15 minutes prior to the showtime. When should I arrive for the Meal & Show Combo ticket? The meal is served at 6:30pm before the 8pm show. The audience can meet and greet performers in the lobby after the show for photos and autographs. Flash photography and video recording are strictly prohibited. Photos may be taken without the flash. Yes, Hughes Music Show is a family-friendly show. Yes. There is ample self-parking at the theater. All of the parking available is level and provides easy access for all. Is wheelchair seating offered inside the theater? Yes. There are locations throughout our theater for those who need to stay in a wheelchair to enjoy the show. There is also an elevator and easy access to the Dinner Theater. There are no stairs into the theater. What is the size of the Hughes Brothers Theater? The theater seats approximately 907. How many rows constitute the Hughes Brothers Theater? There are 23 rows in the main seating section. Hughes Brother Theatre is located at 3425 W. HWY 76, Branson, MO 65616.